AYC can introduce you to several qualified skippers and help make arrangements for them to captain any of the vessels in our bareboat fleet. 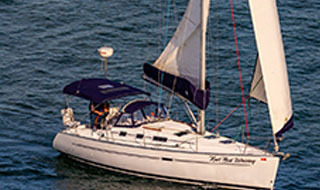 Please view our fleet of Power or Sail yachts for a list of possible vessels. 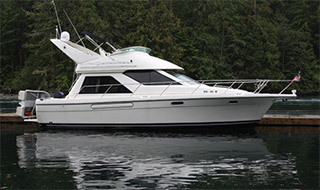 We also work directly with several "Crewed" yachts that charter in the Pacific Northwest. 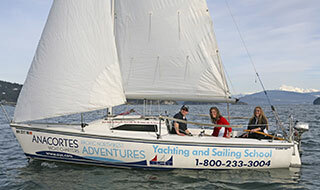 AYC can put together the trip of a lifetime aboard a fully crewed luxury yacht. Please contact our office so we can help with your specific vacation needs. 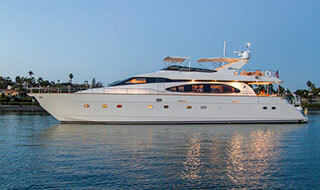 70' Hatteras FDMY "Ocean Romance - CREWED"
64' Little Hoquiam "Susan Dawn - Alaska"
63' European Motor Yacht "Via Mare"